Casey J. Quinlan « JFK Conference DC: "THE BIG EVENT"
Casey Quinlan was born and raised in the greater Kansas City area and has been a high school American History and Government teacher for the past 40 years. He served in the U.S. Army with the 9th Infantry as a combat medical corpsman during the Vietnam War. He has a Bachelor’s of Science Degree in Social Studies and a Master’s Degree in American History from Emporia State University in Kansas. He is the director of Project JFK/CSI Dallas, a student-oriented educational experience designed for high school, college and adults exploring the murder of President Kennedy. Mr. Quinlan has been the featured lecturer at many universities throughout the Midwest, including; the Alf Landon Lecture Series at Kansas State University; The William Allen White School of Journalism at the University of Kansas; The Student Lecture Series at Pittsburg State University in Pittsburg, Kan., and Student Activities at Johnson County Community College in Overland Park, Kan. He has served as a historical lecturer, on a number of occasions, for the Kansas State Historical Society in Topeka, Kansas and Johnson County Community College. In 1991, Mr. Quinlan was a guest historian for the A&E Network and the History Channel for Oliver Stone’s blockbuster movie, JFK. 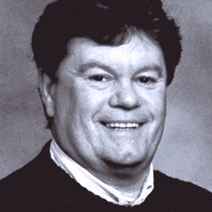 He was named Outstanding Educator in 1994, 2008, 2011 and 2014 by JFK Lancer, a national research organization. From 1995 to 2014, he was an adjunct instructor at Friends University in Wichita, Kan.; Ottawa University in Ottawa, Kan.; Mid America Nazarene University in Olathe, Kan., and Washburn University in Topeka, Kan. In 2007, Mr. Quinlan presented Beyond the Fence Line: The Ed Hoffman Story at the National JFK Lancer Conference in Dallas, Texas. His first publication, Beyond the Fence Line: The Eyewitness Testimony of Ed Hoffman and the Murder of President Kennedy, continues to be a best seller. Mr. Quinlan has been studying the murder of President Kennedy for more than 50 years and has read more than 1,250 books and publications about this National Tragedy. He has been a featured lecturer at the JFK Lancer National Conference since 2004. Mr. Quinlan received the JFK Lancer 2011 and 2012 “New Frontier Award” for continued efforts to write and inform students of the truth behind the murder of JFK. His National lecture series and electronic books include: The Eyes of Texas, [parts 1 & 2] (2011) which unveils the people behind the murder of President Kennedy; Lee Oswald: The Great Coca Cola Caper, (2012) explains where Lee Oswald’s location was during the murder of President Kennedy; The Edge of Apocalypse: Cold War, Cold Warriors, Cold Blooded Murder! explains who killed JFK and why; Guardians of the Republic: The Men and the Institutions who Murdered JFK (2016); and Grave Injustice: Facilitating the Autopsy of President Kennedy and Institutionalizing its Cover-Up! (2017).